With a little over two weeks to go before the UK decides whether to stay in or leave the EU, the debate over the country's membership is heating up, with news bulletins and evening TV schedules increasingly dominated by the issue. 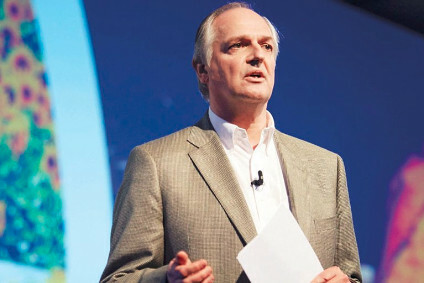 Last night, Unilever CEO Paul Polman outlined his stance in an interview with Channel 4 News. Polman's appearance on the channel's 7pm bulletin came the same day your correspondent received a leaflet from campaigners wanting the UK to leave the EU that named Unilever among the companies that have said "they will stay" should the country plump for so-called Brexit on 23 June. Channel 4's interview with Polman saw the Unilever chief executive come out firmly in favour of the UK remaining in the EU, arguing Brexit would hit the country's economy and put jobs in jeopardy. "If you go out, you will significantly first of all create insecurity that will destroy jobs here and certainly put many other jobs at risk," Polman claimed. "There are 3m people in the UK who make their jobs from trade with Europe. You don't want to put these people at risk. It's one of the reasons you see one of these rare occasions when the majority of the business community, as well as the labour unions and civil society say overwhelmingly it's in our interest to stay." Pressed if Unilever would move its headquarters if the UK left the bloc, Polman said the company was "dually-listed" but admitted the group would "seriously look" at how its structured its business. Some of today's UK newspapers have picked up on Polman's interview and led with his comments on how Brexit could affect the price of one food item - ice cream. Polman suggested Brexit could lead to the price of food rising and gave the example of ice cream, a sector of course in which Unilever is the largest player. "You will have import duties on dairy. Anybody who's outside of the EU has import duties that could be up to 40%, 50%, so the price of dairy products will go up, the price of ice cream will go up and ultimately the consumer will pay the price for that," Polman said. Cue headlines such as "Brexit will make ICE CREAM more expensive warns Unilever boss" from The Mirror. Channel 4 News' Facebook and Twitter posted the ice cream snippet - prompting a flurry of comments from those apparently supporting Brexit. Asked if prices could rise across Unilever's range of foods, Polman told Channel 4: "Absolutely. The food barriers that Europe has right now are about 15%. The UK is excluded from that. Consumers here are obviously getting the benefit from that, access to lower prices, access to more goods. Were that to disappear, you would see a dampening effect on the UK economy that some people estimate of up to 5%. That dampening effect will undoubtedly put jobs at risk in this part of the world." Any impact Brexit could have on food prices is, like everything right now, a matter of debate. The UK's Food Research Collaboration has pointed to the level of imports into the UK in some categories and suggested Brexit could lead to some food imports becoming more expensive. UK Prime Minister David Cameron, campaigning for the country to remain in the EU, last month argued Brexit would push up an average family's weekly food and drink bill. However, some advocates for Brexit have dismissed that argument. Leave.EU co-chairman Richard Tice told The Daily Express last month: ”The Treasury has previously estimated that EU policies on food production and trade amount to an implicit tax on food which stands at around 26 per cent, hitting the poorest in society hardest. "More than this, EU food policies cost producers in developing countries billions in lost revenue, driving people into poverty abroad and driving up the foreign aid budget at home. "For the Government, the In campaign or anyone else to try and suggest that the EU lowers our shopping bills isn't just a lie – it's an insult." You can watch Channel 4 News' interview with Unilever's Polman below.